Rewind to 2015 - my girlfriend and I were spending alternating nights at each other's houses, which was cramping our cat's style. Paloma felt that the late breakfast some mornings was just terrible and took to protesting by attacking our feet early in the morning. Since all we really needed was a breakfast-on-a-timer, I built a cat feeder that we could fill nightly and would go off at the same time every morning. This worked fantastically! Paloma was much happier and our toes were unmolested. 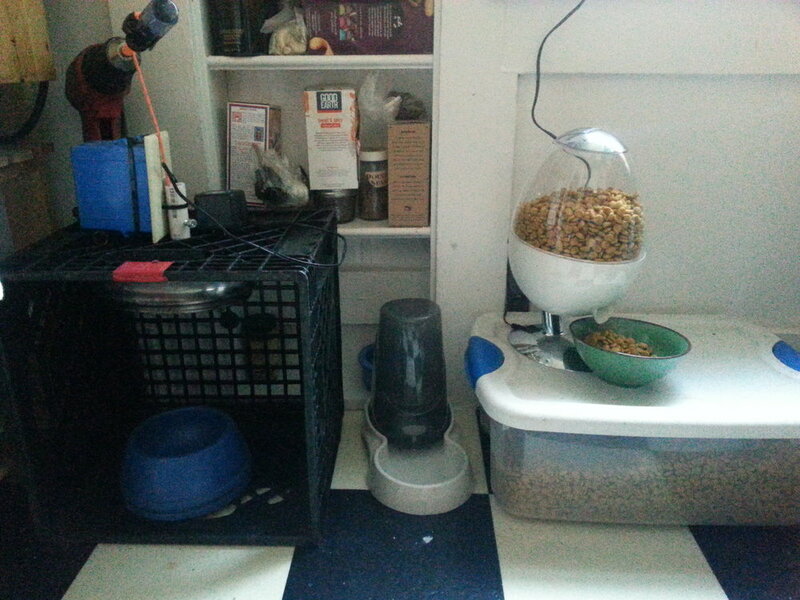 As you can see from the picture below (feeder on the left) the construction was, um, cost-optimized. Little more than a drill that would lift a pot lid off a pre-loaded food bowl, the main drawbacks were having to refill the bowl and the quite loud drill going off every morning. The beginning of cat feeder 2.0 is on the right. The white-and-silver appliance was designed to dispense human treats when a hand was placed under the dispenser. A little re-wiring and it fired a single serving per power cycle. 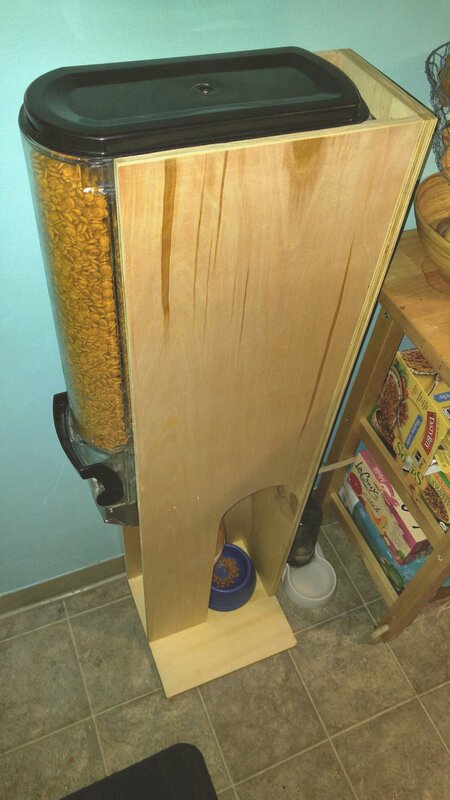 With the addition of a wall timer it became a cat feeder that quiet and easy to program.